Make Me a World, 9780525647072, 208pp. Akwaeke Emezi makes their young adult debut with Pet on the inaugural Make Me a World list. 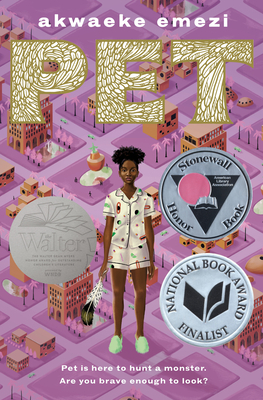 An honoree on the National Book Foundation's "5 Under 35" list, a long-list nominee for the Carnegie Medal for Excellence, and a short-list nominee for the Center for Fiction's First Novel Prize, Akwaeke continues to receive accolades for their adult debut, Freshwater. The autobiographical novel also received rave reviews from the New York Times, the Wall Street Journal, the New Yorker, and the Los Angeles Times, among others, as well as starred reviews from Library Journal and Booklist. Their sophomore adult novel, The Death of Vivek Oji, is forthcoming in 2020 from Riverhead. Learn more about Akwaeke at Akwaeke.com or on Twitter at @azemezi.